A plan supported by Gov. Phil Murphy and top Democratic lawmakers to increase New Jersey’s minimum wage to $15 cleared another hurdle Monday. The state Senate Budget and Appropriations Committee passed the measure, and the bill now heads for full votes in the Senate and the Assembly, which could occur as early as Thursday. At Monday’s committee hearing, business and government groups registered their opposition to the minimum wage increase, claiming that some employers would be unable to afford the increase. Michele Siekerka, president and CEO of the New Jersey Business and Industry Association, predicted that many smaller companies would have to make cuts to absorb the added cost of a wage hike. “These are the businesses that tirelessly every day go and open up their storefronts on our main streets and in our communities. They have very small — very, very small — profit margins. They are living from week to week, many of them,” she said. The plan would slowly hike the state’s minimum wage of $8.85 for more than a million N.J. workers to $15 per hour by 2024, but certain groups of workers are carved out of that timeline. Seasonal workers and employees at small businesses of five workers or fewer would see their minimum wage rise to $15 by 2026. The minimum hourly pay for farm workers would go to $12.50 by 2024. 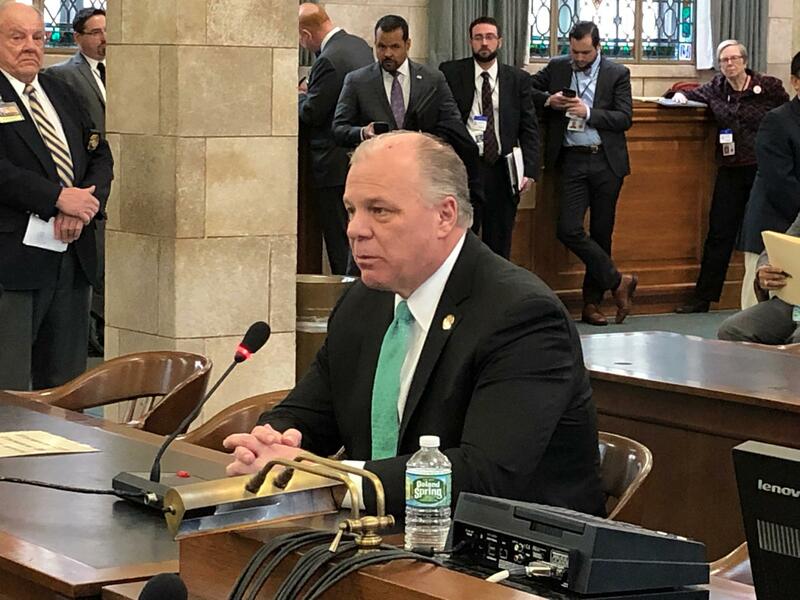 By the end of March of that year, the New Jersey’s Labor commissioner and its Agriculture secretary will be able to jointly decide whether to increase that wage to $15 by 2027. Tipped workers would also see their minimum wages rise to $15 per hour by 2024, but a portion of that hourly rate could include tips. Anthony Sandkamp owns Sandkamp Woodworks LLC in Jersey City and employs four workers. Although he competes with larger companies in New York City, he said he does not pay any of his employees less than $20 per hour and supports New Jersey’s plan to increase the minimum wage.